Join us on August 18, 2016 at 1:00 pm AEST (Townsville QLD, Australia/ 03:00 GMT/UTC) for this free webinar. Click onhttp://tinyurl.com/huvjnj8 to see the time in your local time zone, anywhere around the world. About this webinar: With six of seven sea turtle species occurring in Australian waters, this presentation will cover common diseases, medical problems and treatments in sea turtle cases that have been presented to local animal hospitals and often transferred to a veterinary facility specializing in sea turtles. Common problems include multiple issues like boat strike, buoyancy or floating problems, and tumors, many of which require further examination in order to provide specific diagnostic services and treatments. About the speaker: Dr. Hayakijkosol completed his BVSc in Thailand, after which he pursued a MSc and PhD in aquatic animal diseases. He has experience lecturing and tutoring in aquatic animal subjects in School of Veterinary Sciences at James Cook University, Queensland, Australia and has been involved in sea turtle hospital work in Townsville, Australia as an aquatic specialist consultant. This webinar is suitable for veterinarians, vet techs/nurses, vet students and veterinary practice staff. Feel free to forward this announcement to colleagues. Register now! Click on https://attendee.gotowebinar.com/register/5498451318216269828. 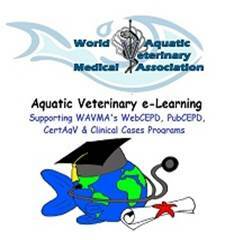 10 Years of Advocacy for Aquatic Veterinary Medicine! Previous Post Fish joke for Monday-itis: whatfish? Next Post WAVMA Celebrates its 10th Birthday in 2016!